Ants are the most successful species of insects that outnumber other individual animals combined. They have been around since the beginning of time, and you can find them in every corner of the world. Just like other insects and animals, ants also have both benefit and harm. The need for ant control in Vancouver and many areas in the province is evidence of the different roles that ants play in the ecosystem. 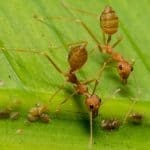 Although some species like the carpenter ant and the fire ant are considered pests, ants are generally beneficial to the ecosystem. They, for one, help pollinate flowers and distribute seeds during their process of gathering food. On the other hand, they also invade homes and sting humans, causing a year-round problem that calls for immediate ant control. In Langley and other places across Metro Vancouver, they implement specific measures to address this problem. A significant action step is to learn everything there is to know about the different ant species. These species of ant also go by the common names, sugar ant and coconut ant. They are the most widespread ant species that invade Southern Canada. They can be found indoors, such as under sinks and doormats, and outdoors, such as in garbage cans, and under rocks and potted plants. Scientifically named Myrmica rubra, the European fire ants are aggressive species that can deliver a painful sting when disturbed. They can also infest agricultural crops, soil, and potted plants. 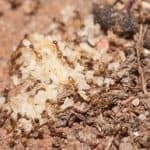 You have probably encountered them in some infested gardens in your neighborhood.Eradication of European fire ants may not be completely possible. However, there are some methods you can implement to minimize their impact on your property and resources. These are the largest species of ants, ranging from 3.4 to 13mm long. They use woods as a place to build their nest. During that process, they make a slight crackle indicating a sound of infestation inside your walls.In treating carpenter ants, you need to use transfer liquid insecticides to make sure that you control and eliminate them extensively. Ant infestation at home and other properties can be a seasonal or year-round problem when not addressed immediately. In places such as Vancouver, Surrey and Langley, ant control is a growing need that many strive to achieve. Here are some of the preliminary measures you can take when faced with the dilemma. Re-assess the possible reasons or situations behind ant infestation on your property. Inspect your property and look for ant trails. Ants leave a chemical pheromone trail to make transferring foods and getting back to their routes easy. Determine what type of ants you are dealing with. Implementing ant control in Surrey and other places around Vancouver is one of the top concerns of many property owners. Are you also looking for expert ant exterminators? Count on our pest control technicians and resident entomologist, Dr. Garry Mann, to take care of ant extermination in your area. Call us today and get the solutions to your problems!